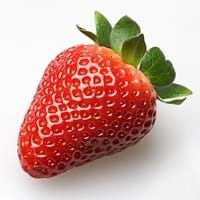 Strawberry is the only fruit with seeds on its covering. Belgium has a museum dedicated to strawberries. Americans eat almost 3.4 pounds of fresh strawberries each year. They are believed to be an aphrodisiac. We might think that Blackberry and Strawberry are similar with respect to nutritional value and health benefits. But the nutrient content of both fruits is different. Blackberry and Strawberry Facts such as their taste, shape, color, and size are also distinct. The difference between Blackberry and Strawberry is explained here. 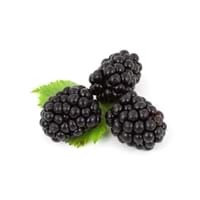 The amount of calories in 100 gm of fresh Blackberry and Strawberry with peel is 43.00 kcal and 33.00 kcal and the amount of calories without peel is Not Available and Not Available respectively. Thus, Blackberry and Strawberry belong to Low Calorie Fruits and Low Calorie Fruits category.These fruits might or might not differ with respect to their scientific classification. The order of Blackberry and Strawberry is Rosales and Rosales respectively. Blackberry belongs to Rosaceae family and Strawberry belongs to Rosaceae family. Blackberry belongs to Rubus genus of Rubus fruticosus species and Strawberry belongs to Fragaria genus of F. ananassa species. Beings plants, both fruits belong to Plantae Kingdom.